On March 9, 2013 at approximately 5:45 am, officers from the Anne Arundel County Police Department and deputies from the Calvert County Sheriff’s Office were dispatched to a traffic crash on Chesapeake Road near Sansbury Road, Anne Arundel County Maryland. Upon arrival responders located two vehicles, a Ford Taurus and a Ford Expedition, in the westbound lane. Both vehicles had sustained heavy front end damage as a result of the crash. The Expedition was found on its side and was on fire. Firefighters from the Dunkirk Volunteer Fire Company were also dispatched to the crash, and after evaluating the extent of the injuries to the drivers of the vehicles, pronounced the operator of the Ford Taurus dead at the scene. Crash Investigators from the Traffic Safety Section were dispatched to the crash scene and assumed responsibility for the investigation. The operator of the Ford Taurus was identified as Ronald Lignelli of Chesapeake Beach, MD. 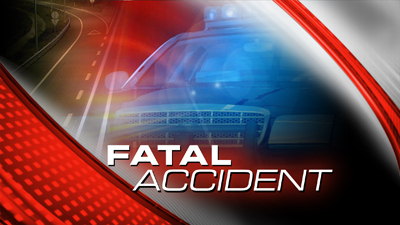 The operator of the Ford Expedition was identified as Andre Mackall of Owings, MD 20736. Mr. Mackall was pulled from the vehicle by by-standers prior to the vehicle being engulfed in flames. Mr. Mackall was transported to Prince Georges Trauma Center where he is listed in stable condition. The initial investigation suggests that the Taurus was traveling east on Chesapeake Beach Road when it crossed the double yellow lane lines into the path of the Expedition. The vehicles struck head-on coming to rest in the westbound lane near the shoulder. The investigation is ongoing at this time and it is unknown if excessive speed, drugs or alcohol were factors in this crash.